We're 30!! The MFMII Story! Read all about it! 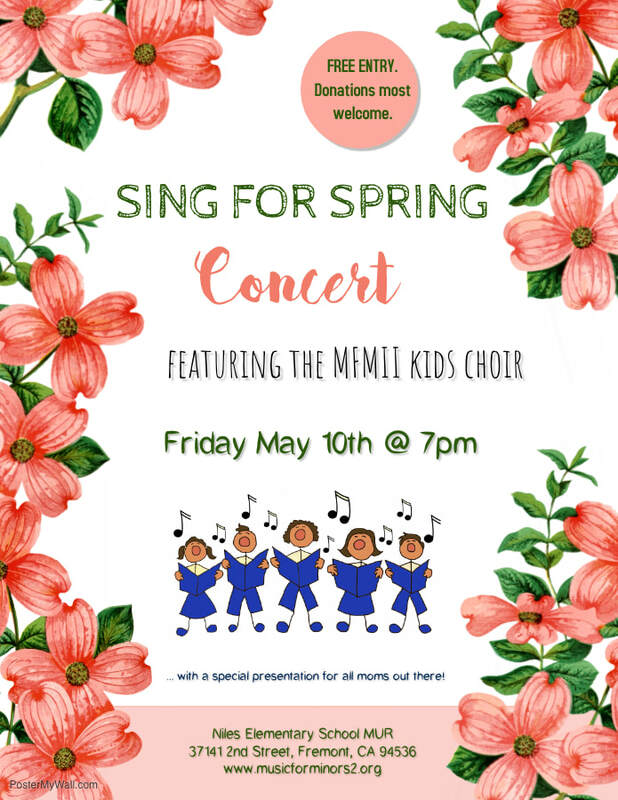 ​Music for Minors II (MFMII) is a 501(c)(3) nonprofit volunteer organization providing music enrichment programs in pre-school through elementary schools in the East San Francisco Bay area of California since 1988. What is MFMII? from Music For Minors II on Vimeo. Our mission: To nurture the love and literacy of music in children's classrooms and lives by trained community volunteers. MFMII also provides performance opportunities for children at school sites and on professional stages in the community. Children need music for healthy development and academic success. Children and classroom teachers enthusiastically welcome MFMII docents into the classroom for fun-filled, engaging music lessons involving singing/signing songs, rhythmic movement/dance, instrumentation, and listening appreciation. Teachers remain in the classroom while docents teach and also learn how to integrate music into their curriculum areas. Join Music for Minors II as a docent and join us in our mission to nurture a lifelong love and literacy of music in children’s classrooms and lives! ​With your help and support, MFMII will continue its mission and reach many more children in need of music. Enrich a child’s life and your own by learning to share music in a fun-filled training class which teaches the elements of music, methodology, and classroom management through making music. MFMII welcomes community members who love music and children and know how important music is for them. Volunteers must take an annual fall training class taught in either Fremont or Castro Valley. Click here for more information on how to become a volunteer MFMII music docent and make the musical difference in a child’s life. What's new at MFMII? Visit our current newsletter or subscribe to our newsletter.